Yesterday my friend got us tickets for the light show at the Hayward, Southbank London. It's been extended till the 6th of May, so hurry before it finishes. You need to book tickets online, and I think it's pretty busy so you might be in an online queue! Eli (now nearly 5 months old) really loved it, and I felt like I was going to this show for him as well as myself! 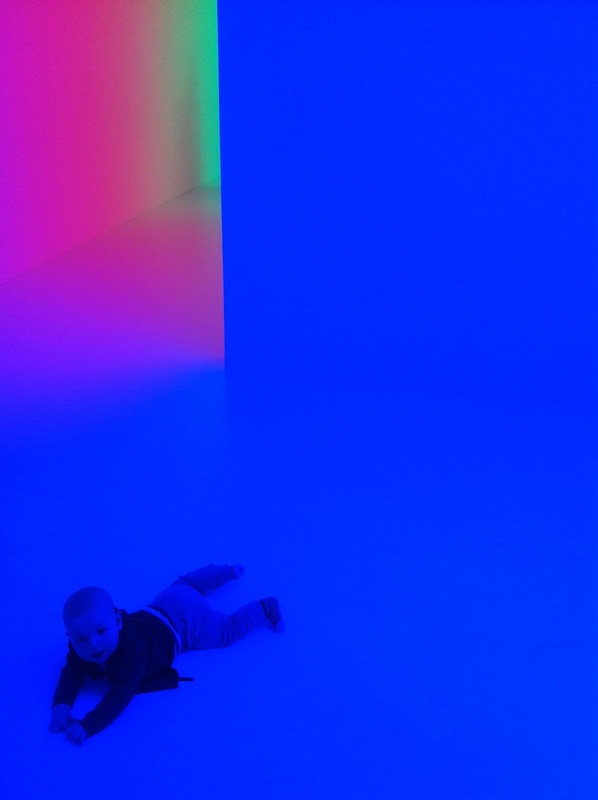 There were a series of beautiful light sculptures by different artists. Ok, strictly no photography allowed but I managed to take a few sneaky pics to show you all! 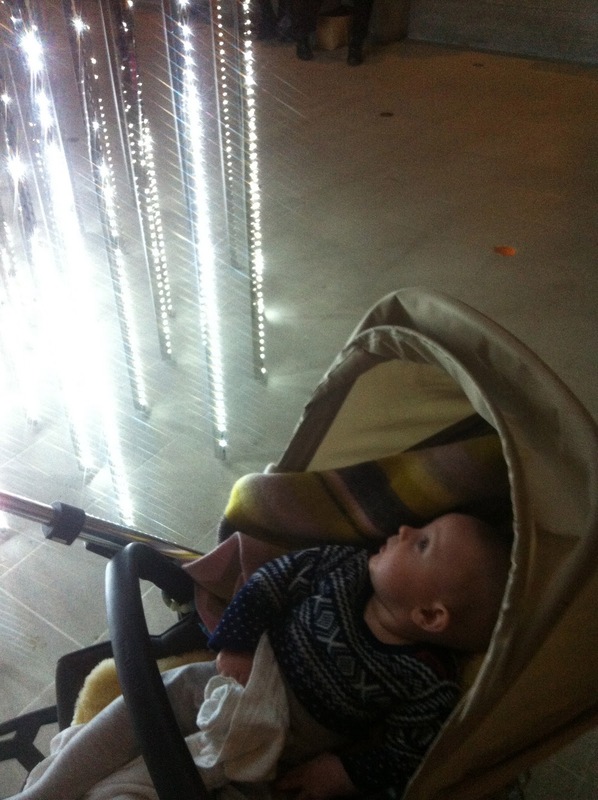 He LOVED watching this one which was like a waterfall of lights! we took these weird photos in an amazing installation. 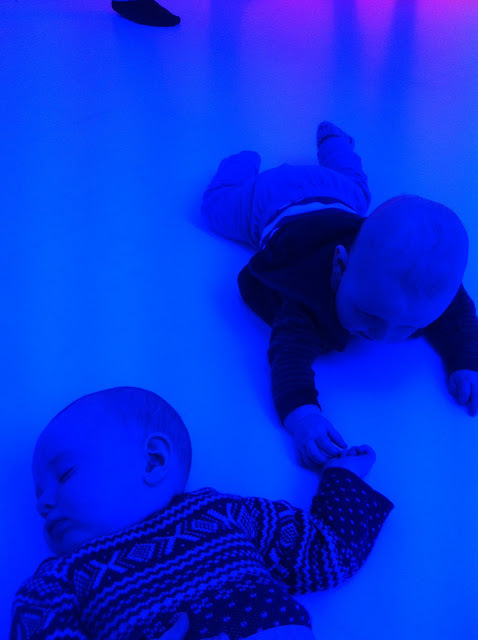 It was a series of white rooms with bright coloured lights filling the whole space with a wash of a beautiful hue- getting more intense the longer you spend int he room. 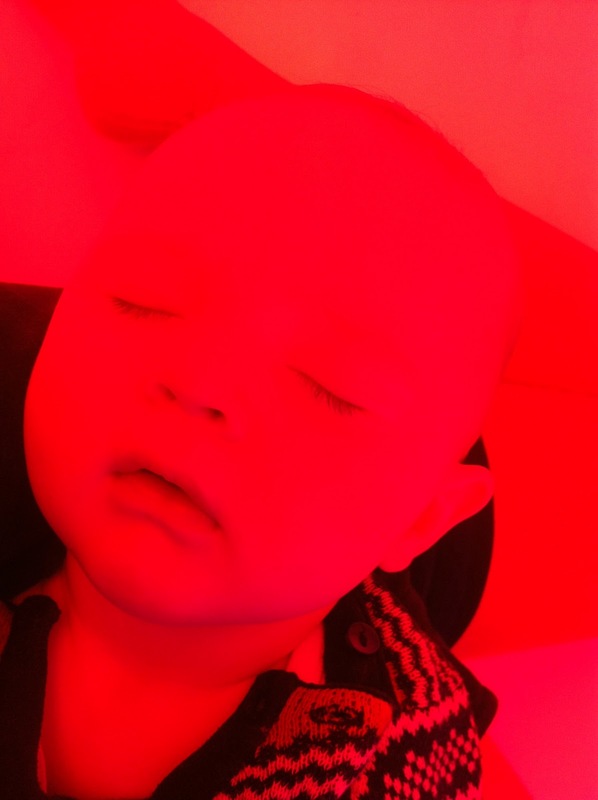 Eli, exhausted in the red room!